The Royal Canadian Mint is certainly no stranger to the production of silver bullion featuring nature-themed designs. 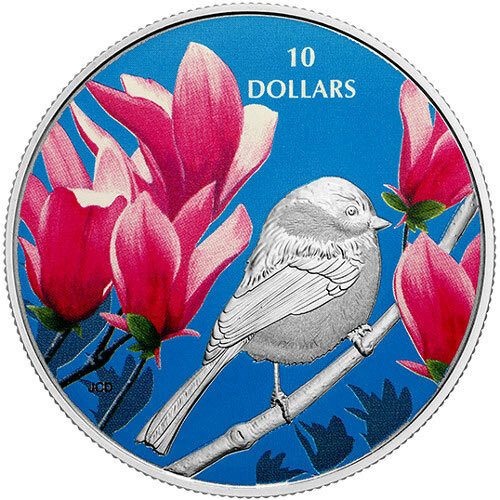 In fact, bird have previously featured on a number of silver coins for sale from the mint, but none quite like the first release in a new five-coin series. Today, the 2017 oz Proof Canadian Silver Birds Among Natures Colors Chickadee Coin is available to you online from JM Bullion. 1st coin in a new 5-coin series! Limited mintage of only 15,000 coins! Contains 1/2 Troy oz of .9999 pure silver. Face value of $10 (CAD) is fully backed by Canadas government. Obverse depicts Queen Elizabeth II. Colorized reverse design includes the image of a Chickadee. Reverse design from Jean-Charles Daumas. Found throughout Canadas native woodlands and the backyards of many city dwellers, the black-capped Chickadee is a diminutive bird species that has an inquisitive spirit and the uncanny ability to melt the heart of those who encounter at the feeder in their backyard. These songbirds are notable among Canadas bird species because they are year-round residents of Canada. The resilience of the species should not be overlooked as it sticks it out through the harsh Canadian winters alongside its human compatriots. On many a winter morning, when the rest of the world is still, you can hear the distinctive sound of the chickadee. Each of the 2017 oz Proof Canadian Silver Birds Among Natures Colors Chickadee Coins listed here ships to you inside of the iconic maroon clamshell of the Royal Canadian Mint. The housing of these coins offers perfect protection during shipping and ideal display as part of your silver proof collection. Included with each coin is an individually numbered Certificate of Authenticity. All Chickadee Coins mark the first release of a five-coin series that will showcase beautiful engravings of birds on the reverse of the coin, with colorization that brings its Canadian habitat to life. 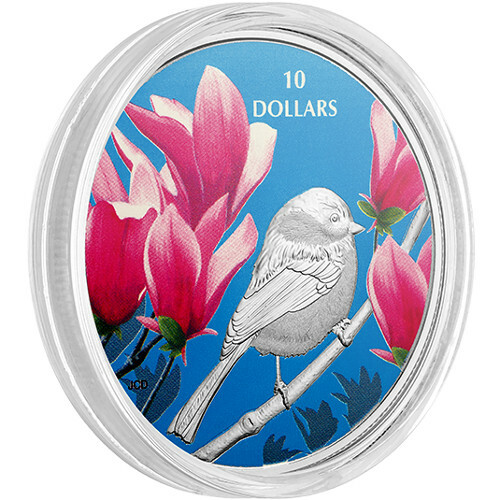 On the reverse of these Chickadee Silver Coins youll find the soft pink and white hues of the magnolia blossoms, which offer a subtle reminder of a warm spring day, with the image of the black-capped chickadee sitting perched on a branch. The obverse of each 2017 oz Proof Canadian Silver Birds Among Natures Colors Chickadee coin features the image of Queen Elizabeth II. 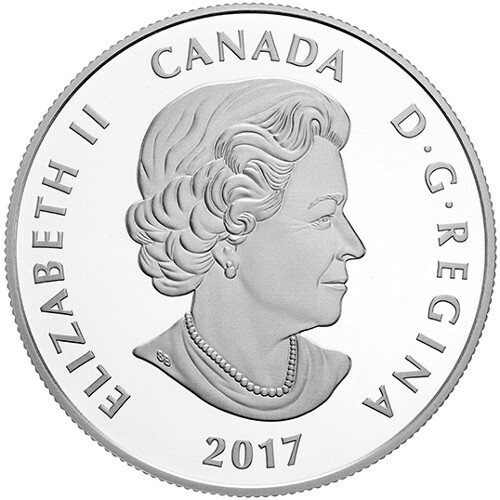 Captured in right-profile relief, this depiction is the latest generation image of the Queen to appear on Canadian coinage and was created in 2003 by Susanna Blunt. Please dont hesitate to contact JM Bullion with questions. Customer service associates are available at 800-276-6508, online through our live chat, and at our email address.